Not many would have expected such a drastic improvement at Manchester United following the change in the managerial position at Old Trafford. Since succeeding Jose Mourinho at the helm, Ole Gunnar Solskjaer has completely transformed the team – on the pitch as well as inside the dressing room. The Red Devils remain unbeaten in the 10 games they have played under the Norwegian tactician so far, with the team morale and cohesion rising steadily after each positive result. 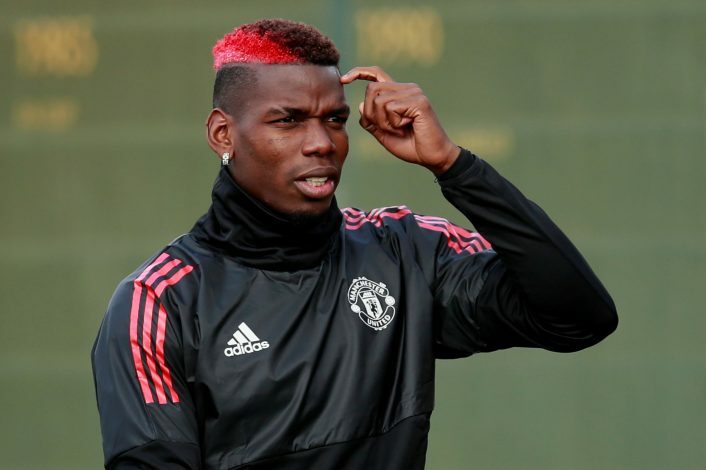 Individual players have considerably stepped up under the interim boss, with the likes of Marcus Rashford, Paul Pogba, and Anthony Martial especially shining through. Romelu Lukaku confirmed as much in his recent interview with Canal Football Club (via GFFN), shedding light on the entire squad’s current mood as well as the improvement shown by the key players. “Everyone is more positive. Everyone is smiling more. And now we have to continue like this and enjoy,” said the Belgian international. He then went on to add: “At training we are constantly saying Paul looks so happy and then he laughs. Everyone is back to their level, Paul, Marcus, me when I get playing time I try and make as big an impact as possible, Anthony, everyone. “This competitive spirit is coming back out of each player, it has already started in training when we play small-sided matches, 6 vs 6, 8 vs 8, you can see it the players want to prove themselves to the manager.